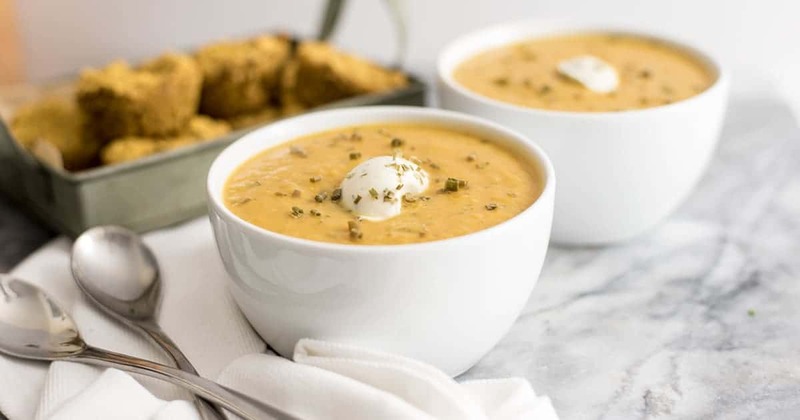 This roasted vegetable bisque is bursting with veggies and so simple to make! 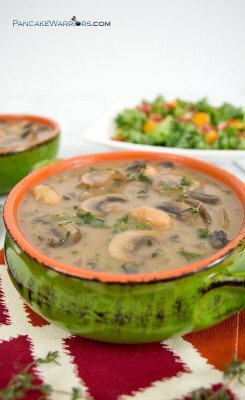 This easy to assemble soup is vegan, paleo, Whole30, dairy free and grain free! It’s the perfect rainy day (or snowy day) soup! Do you ever go a little overboard at the grocery store and find that you are stuck with a bunch of veggies that you have no idea what to do with them? Yeah that happens to us here more than I’d like to admit. Instead of throwing them away, I will often put them in the freezer or make soup with them! Soup is so simple and it’s the perfect place to put those almost dead veggies! 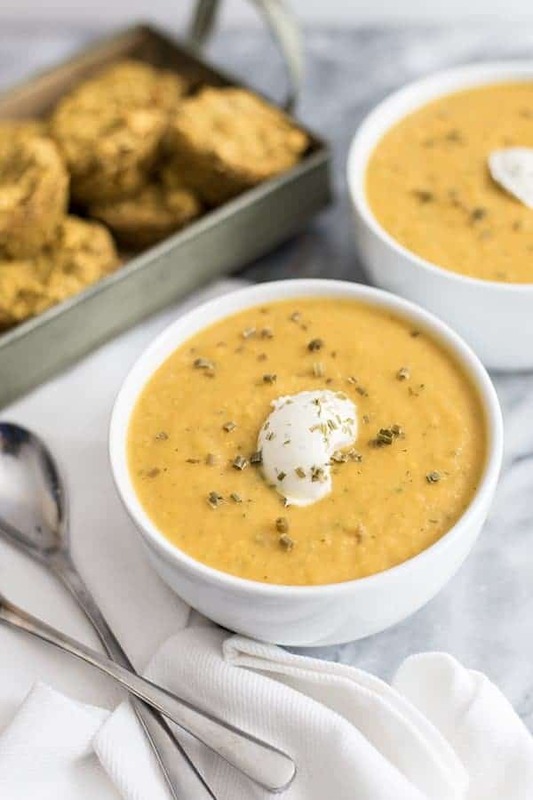 This roasted vegetable bisque recipe is especially good with root vegetables (sweet potatoes, carrots, parsnips, golden beets, rutabaga) and winter squash (butternut, kobocha, delicata or acorn) but can include anything you have in the fridge. I almost always add in red onion and zucchini or summer squash as well because I have a tenancy to overbuy them at the grocery store. I always have grand plans for zoodles that sometimes don’t pan out the way I envision them. But that’s ok, because we don’t waste food here! I haven’t tried this with stronger flavored veggies (brussels sprouts, broccoli, asparagus), as I usually just roast them up and cover them in tahini (like this recipe for roasted cauliflower with tahini drizzle). I’m not sure if their flavor would compete too much in this roasted vegetable bisque soup. 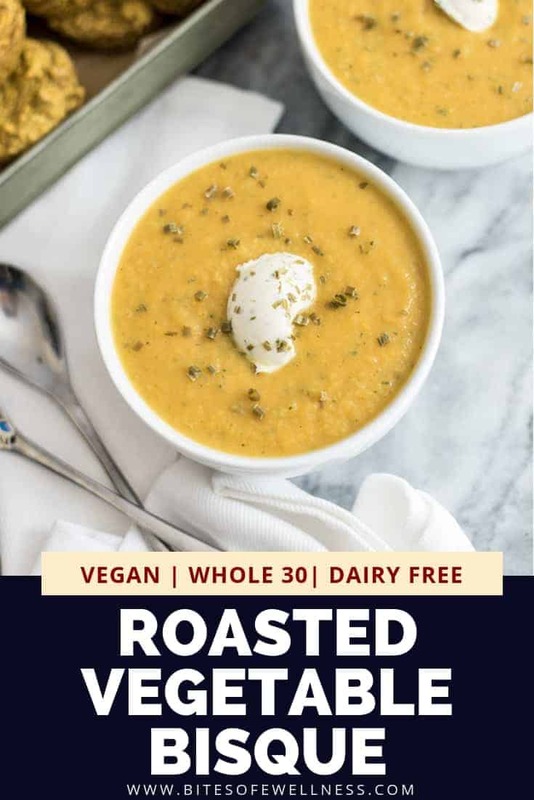 This roasted vegetable bisque takes a little bit longer than my normal 30 minute dinner timeline, but there is minimal prep and most of the time of this recipe is these roasting in the oven. The nice thing is that you can roast your veggies on meal prep day, put them in the fridge and then make this bisque with them later in the week. 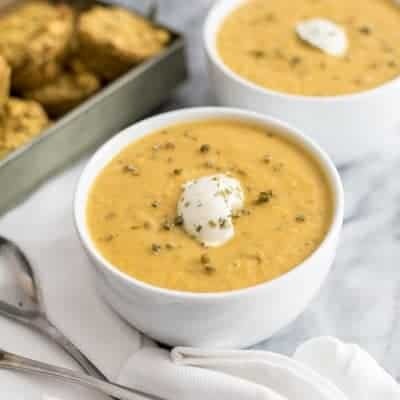 Or you can just make this roasted vegetable bisque as part of your meal prep routine, using up what is old from the week before so you can start with a clean fridge! I used Kite Hill Chive Cream Cheese in this recipe. It’s an almond milk based cream cheese, but you could easily substitute in Daiya Cream Cheese (vegan), cashew cheese (like in Portobello Philly cheese Steak Recipe) or regular cream cheese if you are not dairy free. 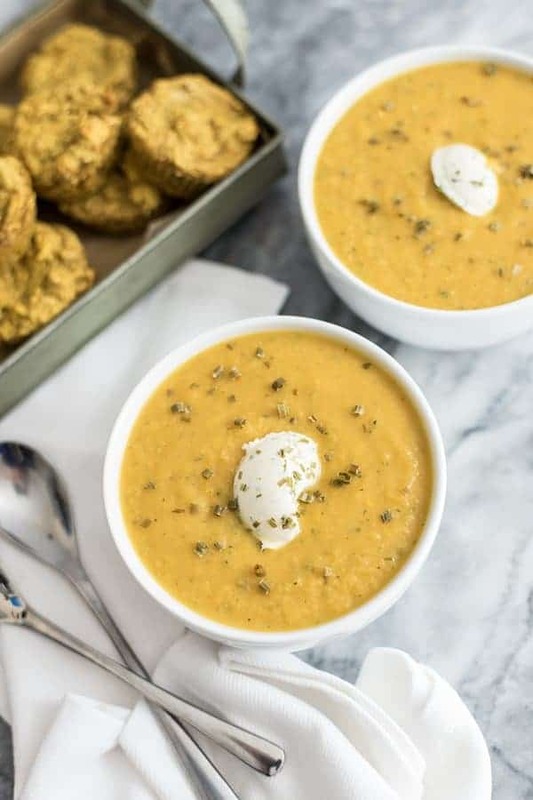 If soup is want you are craving make sure to check out this vegan broccoli cheese soup! See how easy this soup comes together in the video below. This roasted vegetable bisque is the perfect soup to enjoy on a chilly day! Paleo, vegan, Whole30, dairy free and grain free and perfect for meal prep! Place parchment paper on a rimmed baking sheet. Add the oil and toss the veggies in the oil, coating them lightly. Optional: Serve with additional cream cheese to stir in. 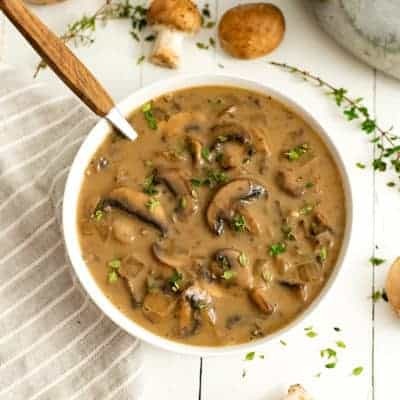 I love all the wonderful veggies in this delicious Bisque! Thanks so much for sharing your post with us at Full Plate Thursday this week. Hope you have a great day and come back soon! Love that I can make a batch of roasted veggies and use them for multiple recipes with this one included! Thanks! The nutrition facts say that one serving contains 1,736 mgs of sodium. This can’t be right? Where would that possibly come from?? I would take any nutritional facts from any website with a curious eye as the ingredients all get pulled from various different generic sources. 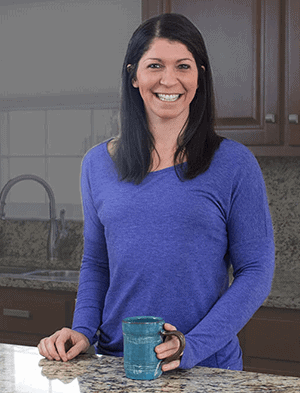 You can easily upload any recipes from this website into your favorite food tracker like myfitnesspal and choose your exact brands to get a more accurate nutritional info. This looks amazing! 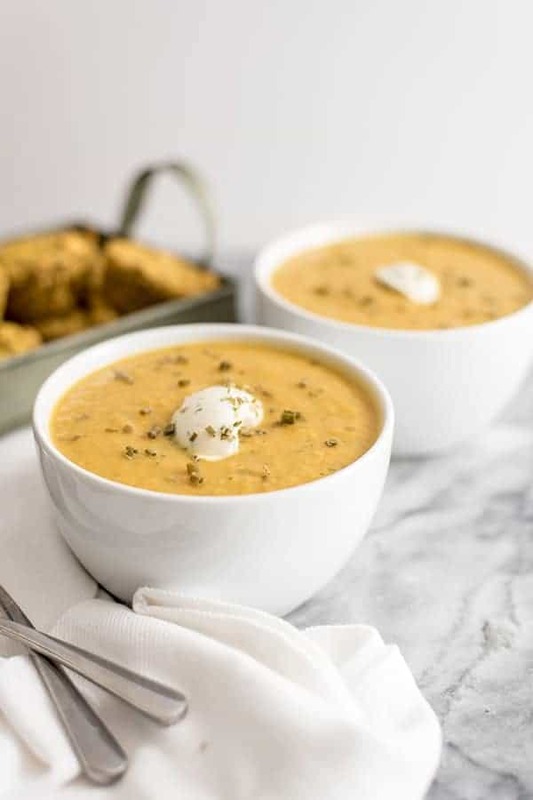 I have never thought to add cream cheese to soup- just a little for the major creaminess sounds great and the almond-version sounds great too! It is so cold here that I’m dying for a hearty, delicious soup! This is perfect! I love these kind of soups. One the veggies are roasted you have it made time-wise! It’s great you used a variety of vegetables in this! I bet it is full of flavor. What a great way to use up leftover veggies! We’ve always got some sad looking ones lying around as well- definitely saving them from now on and making soup! So smart.